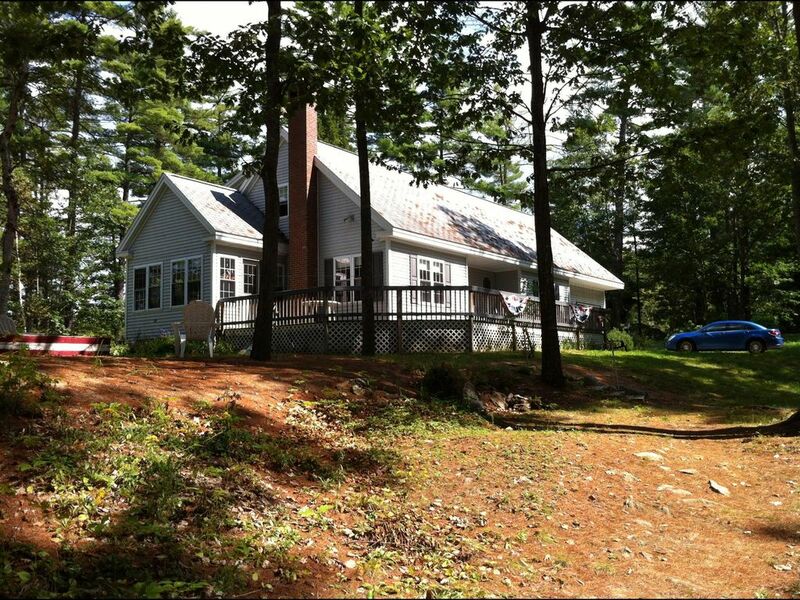 Wonderful private home on 2 acres located on tip of peninsula on Norway Lake. Huge back yard, great views, swimming and fishing. Quiet peaceful end of lake. Enjoy the tall pines and open backyard area. Full kitchen, 2 baths, washer and dryer and living area is great room with kitchen, dining room and living room combined. Can sleep at least 10 comfortably. Sunroom available for sleeping with futon. Dogs permitted with approval. Wonderful, spacious lake house. Plenty of winter fun. We shared this house with several friends over New Years. There were a few weather related issues that came up, but the owner went above and beyond to address all of them and we had a wonderful time. The house is very comfortable with great space and amenities. The area has great skiing and snowshoeing (including right out the door). This rental was a very enjoyable stay. You are situated at the end of the road with the lake on 2 sides of the house. You have wonderful views from many different spots in and outside the house. Our group had 8 people in it and we were very comfortable here with plenty of room. You could easily add a few more people in the house. We enjoyed time on the lake with swimming, kayaking and we brought tubes to float in. The communication with the owner, Patti was quick and easy. We stayed 3 nights and wished it was longer. I would definitely rent this property again. Thank you for your kind comments. Jed and I are very happy you enjoyed your stay!